It all started with an AK and an ACOG. 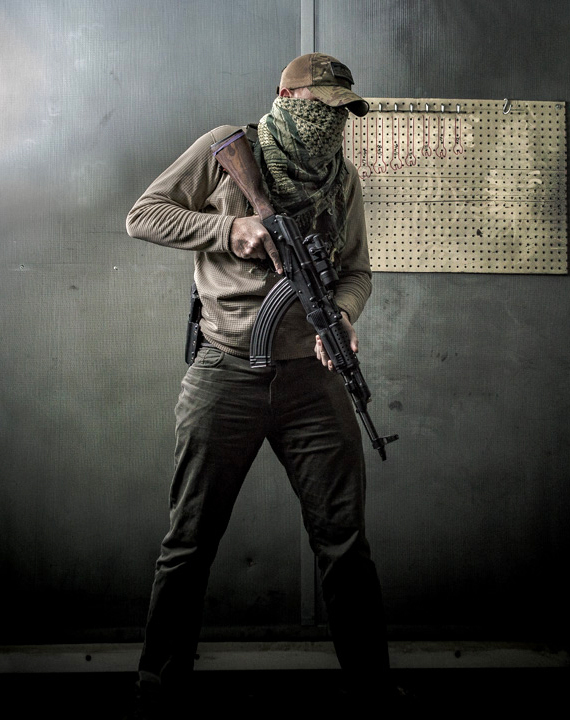 Back in 2009, Scot purchased a Bulgarian kit-built AK carbine chambered in 5.45x39mm. He wanted desperately to mount his ACOG to the gun, but there simply wasn’t a way to do that with the mounts available at the time. An engineer by trade, Scot decided to solve the problem himself. After much tinkering and testing, he produced a custom mount for his gun that yielded a suitable cheekweld and sat the scope precisely centered over the rifle’s bore. When attaching his handiwork to his friend’s Romanian SAR 2 (another 5.45x39mm AK-74-pattern gun), however, he found that his mount didn’t sit the scope directly over the rifle’s bore, as it had on his Bulgarian gun. There are slight differences between just about every country’s AKs. The incongruities between the kit gun’s side rail and the SAR’s side rail meant that, while the ACOG mount worked perfectly for the former, it was in a suboptimal position for the latter. Scot’s solution to the center-over-bore problem was to create a two-piece mounting system. The lower piece would be what actually attaches to the side rail of the rifle, and the upper piece would be connected to the lower and cradle the optic. By making the upper’s over-bore position adjustable—a shooter could drift the upper mount from side to side before securing it to the bottom. RS Regulate eventually released versions of this “first generation” adjustable mount for the Aimpoint Comp series and Aimpoint Micro dot sights. An ACOG-specific upper would come later. Since the release of the first RS Regulate mounts, the designs have gone through numerous revisions and refinements. In 2012, RS Regulate began rolling out the first models of the AK-300 Modular Side Mount System, which now features six fully modular uppers and nine different lowers: a front-biased, a rear-biased, and a full-length lower for most Eastern European AK side rails; a front-biased and full-length lower for Yugo/Serbian rifles; a PSL and and Romanian M10/RH10 rifles; a Century Arms proprietary side rail; and even a rear-biased lower for Czech vz. 58s. Ever the perfectionist, Scot made his mounts even lighter (the full-length lowers weigh under 3.5 ounces, while the rear- and front-biased bases weigh less than 3 ounces) and now fully modular. Scot’s “change nothing, utilize everything” principle has led him to create what is arguably the best AK optics mount in the world. His passion for the Kalashnikov platform is evident in his design philosophy and his dedication to his products. He is one of the few individuals in the United States who is reinventing the “AK wheel” and breathing new life into a proven design that’s well deserving of it. "My brother told me about the RS regulate AK scope mounts. They're well built, easy to install and adjust. No other mount performs this way and are this easy to use. Adjustable directly over the receiver. Great mount, I would buy it again." "Scot’s passion for the Kalashnikov platform is evident in his design philosophy and his dedication to his products. He is perpetually striving to make his accessories the absolute best in the game. 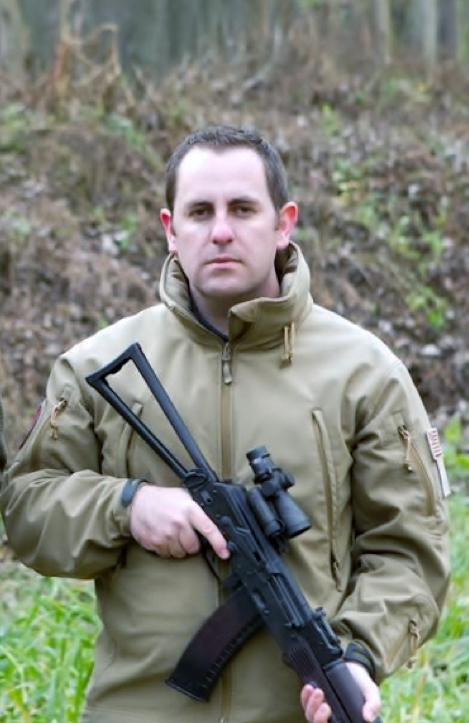 Scot is one of the few individuals in the United States who is reinventing the “AK wheel” of the gun world, breathing new life into a proven design that’s well deserving of it. If you’re an AK enthusiast, don’t get left in the dust…"